Hey, what about my bike? That's what lots of local cyclists have been saying this week as police worked to crack the Lance Armstrong $10,000-plus bike theft case. Each year, several thousand bicycles are stolen in the region--and few result in even a token police investigation. Shawna Sanders, a student at Sacramento City College, said Thursday the lack of any follow-up on her missing bike case "really irritated" her. Sanders...said her old bike was swiped from her backyard near Curtis Park. She carefully secured her new bike's frame to a bike rack with a U-shaped lock. 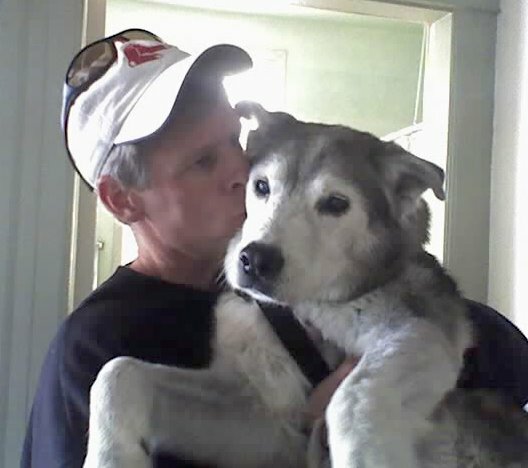 "I understand that they have a lot going on, but … " she said. You've arrived at work. Now you need a place to leave your bicycle. Sadly, employers in the United States are not very enlightened about bicycle parking. They aren't reluctant to provide parking for their employee's automobiles, spending thousands creating a parking lot or garage for staff car parking, and thousands more on lighting, maintaining, security, and insurance for these parking lots. Yet only one automobile parking space could be converted to create parking for ten or more bicycles. Until your employer gets better informed about the value of staff bicycle parking, you will need to take responsibility for keeping your bicycle secure during the workday...If possible, try to leave your bicycle in a secure indoor location. Not only will this keep your bike secure from thieves, it will also protect it from weather. Perhaps you have enough space in your office to keep your bike there; where it will also become a conversation starter with colleagues and perhaps inspire others at your workplace to bike commute. Perhaps there is a closet or storeroom with space. The luckiest bike commuters work at organizations that provide secure indoor parking. Unless you leave your bike at a safe, supervised parking lot, always use a strong bike lock, preferably some sort of U-lock . You may also want to use more than one lock, such as a cable in addition to your U-lock. Redundancy is effective at deterring thieves, who may have the tools to defeat one type of lock, but not several types of lock. And don’t forget to take any accessories or easily removable parts with you when you leave the bike. • Record your bike's serial number. Every bike has a unique serial number, usually stamped on the frame below the bottom bracket. Record this number in a safe place. If your bike is stolen, report it so that law enforcement agencies could possibly recover your bike. • Uglify your bike. Make your bike as undesirable as possible. Some cyclists remove brand name decals or repaint the bike to disguise a top-of-the-line model as a piece of junk. Many bicyclists also put decals on their bike, both to express a message ("One Less Car", "I Bike & I Vote" or "What Gas Prices?") and to discourage easy re-sale in the event of theft. • Use a "beater bike". Leave your expensive titanium or carbon fiber bike at home, commute on a less expensive model. Many bicycle commuters ride "urban beater bikes" that are less appealing to thieves. • Make it unrideable. 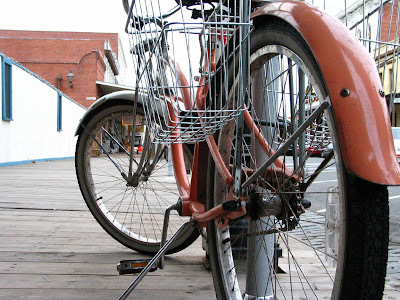 Many cyclists remove wheels and saddles to make it impossible for thieves to ride away on a bike. Even thieves who load bikes onto trucks may avoid those with missing parts; they don’t want the hassle of finding spare parts when they can simply steal another bike without missing pieces. • Register your bike. Many communities offer bicycle registration through the local police department or other agency. Many states or communities also offer or require a bicycle license, which includes an adhesive label. There is also an anti-theft organization, the National Bike Registry, which also provides tamper-proof adhesive label. These discourage thieves, who move on to unregistered bicycles that are more difficult to trace to the original owner. • Identify your bike. Many bicyclists use permanent markers to personalize their bikes, making them less appealing to bike thieves. • Report stolen bikes. Most times, police can’t do anything to help you find a stolen bike, especially when it is unregistered. It may be either impossible to find the thief or too time consuming at a busy precinct. However, a large number of stolen bikes are eventually recovered, so it’s worthwhile to report a theft just in case. • Never buy a stolen bike. Without a thriving market for stolen bikes, the huge problem of bike theft would not exist. Besides, you may be held partly responsible for a theft if you buy a stolen bike. To avoid stolen bikes, only buy from reputable bike shops. If someone offers you a great deal on a used bike, ask to see a receipt or registration. Without either of these, it’s impossible to be sure the bike was'nt stolen at some point. This is a casual, no-host get together, meaning you're responsible for your own food and drinks. (I'll be sipping Diet Coke.) Some bicycle parking is available (one rack, nearby poles), so you may need to use your kickstand and self-lock your bike or leash it with a friend's bike. Theft danger is present, but not huge. To find us, look for cowbells, bike race media passes and paraphernalia, or helmets. RSVP on Facebook. No RSVP is necessary, but leave a comment if you think you can stop by. During your visit to Sacramento, try to visit the new Bicycle Kitchen if you have time. 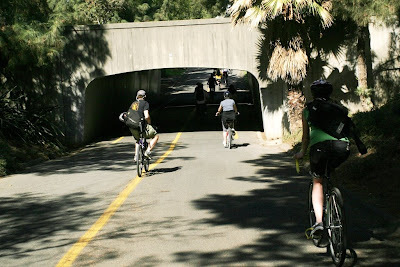 And also try to take a ride on the American River Bike Trail, one of the premier bicycling facilities in the nation. The Amgen Tour prologue course will be open for riding at 11:30 a.m.; enjoy a ride on traffic free streets. Bicycling is an inherently sociable activity. Travel in a car is a very alienating experience, containment in a metal vehicle moving at the highest-possible velocity, the terrain is simply scenery seen through a windshield. When you travel by bicycle, you're immersed in the terrain, and all its delights and surprises. You feel hot breezes; hear laughter and snatches of conversations; smell flowers and the house having a cookout. You are part of your community, not apart from it. From a car window, ugly strip malls are hastily passed by and parks are briefly glimpsed. On a bicycle seat, expansive parking lots are detested blight and green expanses are savored. Shade hardly matters to climate-controlled travel; mature trees and leafy canopy are celebrated by pedalers. Friends passing in their respective vehicles might wave or offer a quick horn toot--if they see each other at all. Friends passing each other on bicycles may stop, exchange pleasantries and perhaps pedal together for a bit. Bicycling is intrinsically social. And no city in America is as enthusiastic about bicycling as Davis. It is one of only three platinum-level cities in the country for bicycle friendliness, according to the League of American Bicyclists--the others are Portland, Ore., and Boulder, Colo.--Davis has the highest per capita bicycle use in the U.S. In the 1960s, Davis was the first city in the U.S. to create on-street bike lanes--lobbying for changes to the state traffic codes to do so- and has continued to develop its streetscape and infrastructure. One particularly delightful feature of life in Davis is observing the morning and afternoon "rush hours" on the greenbelt paths, as groups of children travel to and from school on bikes, skateboards and scooters. The social aspect of bicycling may help explain the appeal of Davis and its environs. It's a city where nearly every resident bicycles, at some point or another, from child to student to parent to grandparent. And this shared sociable travel on two wheels connects residents with each other, inspiring civic engagement with their community and passion about its improvement and environment. So it's not surprising that Davis will host the first stage of the 2009 Amgen Tour of California, the most important bike race in the U.S. The event will attract the world's best bike racers and marks the American comeback of seven-time Tour de France champion Lance Armstrong, meaning the event is sure to attract global attention. At a time of increasing concern about the environment, energy, traffic and public health, many cities are looking at bicycles as a means to facilitate sustainable, active mobility. Getting more people out of cars and onto bikes will yield enormous benefits. And Davis offers a great model for how communities might incorporate bicycles into their civic life. Creating more bicycling-friendly communities won't be a cakewalk. Adding bike lanes may require less space for cars, always a contentious challenge for any municipal government concerned about impacts on the retail and employment environment. Yet Davis demonstrates how an improved bicycling environment and a robust local economy aren't mutually exclusive objectives. Davis's admirable bicycle facilities aren't an accident, but the outcome of visionary city planning more than four decades ago. "Because of certain unique features -- mild climate, level terrain, a large population of healthy, young and cash-poor university students for whom cycling is a natural choice -- Davis would have a high rate of cycling without doing anything," says David Takemoto-Weerts, longtime bicycle program coordinator for UC Davis. "However, it was Davis' decision in the mid-1960s to proactively encourage and protect cycling that has made it the most bike-friendly community in the country." Davis has grown from 5,000 residents in 1960 to more than 60,000 today, spreading out over a larger area to accommodate that growth. Its character has changed as well, from a purely "college town" to a partial "bedroom community" for nearby Sacramento and even the Bay Area. These changes could have easily crowded out cycling if it weren't for the proactive efforts of city residents, government leaders and city agencies. "Davis has had the advantage of being able to build cycling infrastructure as it has grown," says Tim Bustos, former bicycle coordinator for Davis. "This is easier than trying to retrofit an older city like San Francisco. However, there's no excuse not to begin creating more favorable cycling conditions. A lot of communities waste time arguing over whether or not to provide for bicycles. In Davis, that argument is over. Bicyclists aren't asking for anything special. We only want the same consideration given to every other transportation mode." There are challenges in Davis, to be sure. Car use continues to grow along with the city's population. However, given the wide community recognition of the benefits of cycling, it seems certain that Davis will continue to provide an increasingly important model for bike-friendly city planning. Bicycle racing fans making a first visit to Davis are sure to feel welcome -- and inspired. 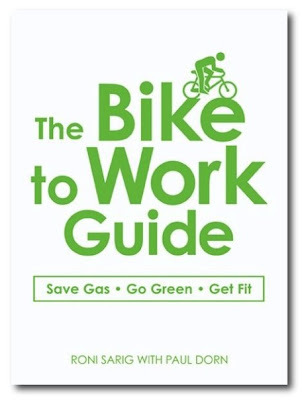 Sacramento resident Paul Dorn is a bicycle commuting blogger, writer, and co-author of the The Bike to Work Guide: What You Need to Know to Save Gas, Go Green, Get Fit (Adams Media, 2009). He is employed as the marketing director for the Department of Campus Recreation at UC Davis.